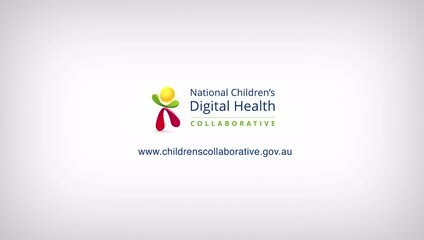 In one of the first initiatives of Australia’s National Digital Health Strategy – Safe, Seamless, and Secure, the Australian Digital Health Agency has partnered with eHealth NSW and the Sydney Children’s Hospitals Network to establish the landmark National Children’s Digital Health Collaborative. The Collaborative includes representatives from all jurisdictions, and across all disciplines. It consists of over 400 individuals, including consumers, clinicians, health and social care providers, researchers and ICT industry partners. Why do we need the Collaborative? When it comes to providing children with timely, safe and quality healthcare, ensuring that their health information is readily accessible and up-to-date is essential. However, many children and young people’s health related records are currently captured on multiple paper or electronic systems. These systems also vary between different public hospital networks across the states and territories. Paper records are easily forgotten or misplaced, and information is often required to be doubled-entered into both paper and digital systems. The National Children’s Digital Health Collaborative will also assess how future solutions developed can form a valuable repository of information to enable public research teams to better understand the health of children and identify ways to improve their wellbeing. These initiatives will be tested in what is known as a ‘proof-of-concept’ process. This will thoroughly evaluate the feasibility and functionality of the initiatives in real-world settings. The results from this process will provide valuable insight and help inform the potential for any future national rollouts. Who is leading the Collaborative? The Collaborative is led by NSW Health in partnership with the Australian Digital Health Agency and all States and Territories.